Go for the Scion FR-S over the Subaru BRZ if you don't mind the brand switch; it's more easily configured with exactly the options you want, and it starts from a lower price. The 2013 Scion FR-S is the real deal: a sports car, built simply, at an affordable price. Once known and revered for its affordable rear-wheel-drive sporty coupes, Toyota, along with the rest of the industry, largely abandoned the layout in favor of more fuel- and packaging-efficient front-drive cars. 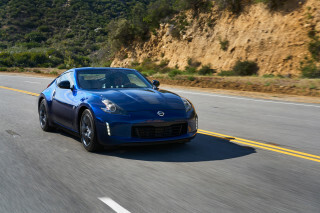 That's finally come to an end, through the company's Scion and Subaru brands, with the introduction of the 2013 FR-S and BRZ. The FR-S is the fruit of a joint project with Subaru, and though each version wears different badges, they're all essentially the same car. There are some differences in styling, and the FR-S gets a slightly different (better, in our opinion) rear suspension tune, but all share the same classic coupe proportions. The FR-S gets its own front and rear look, with bumpers molded to show curved intakes, an oblong grille opening, and at the rear, a dual-exhaust outlet with very mild aerodynamic-look features. Inside, the 2013 Scion FR-S is basic, but well-executed. The style is modern, with a racy look provided by carbon-textured accents and matte-black plastics. 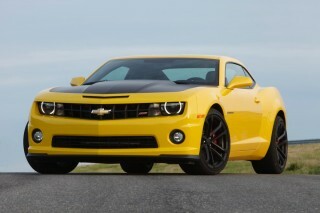 Under the hood lies a 2.0-liter flat four-cylinder Boxer engine rated at 200 horsepower. Most of the power comes high in the rev range, leaving the lower and mid-range feeling a bit anemic. Once it's wound up and running, however, the FR-S is a willing companion. A sound pipe lets in a tuned version of the car's intake noise, but there's almost no exhaust sound to be heard. Behind the wheel, the 2013 Scion FR-S is a balanced, nimble sports car, its light weight making cornering a joy. The steering is an electric power assist system, which numbs the feel somewhat, but it's not enough to get in the way of enjoying the car. Brakes are progressive and strong, with little in the way of fade or overheating noted even after several laps on track. The overall balance is very neutral, with a ready tilt toward rotation when required. The cabin of the 2013 FR-S is comfortable and spacious--for front-seat occupants. The rear seat is very short on leg room, and a bit short on head room, but will serve for children or smaller adults. The cargo area consists of a moderately-sized trunk, or, with the rear seats folded, a large flat load bay that can accept quite a bit of stuff--including four full wheels and tires, a toolbox, and a helmet, according to Scion. As for features, the 2013 Scion FR-S comes with a standard base specification for all models. The main choice is between manual or automatic transmissions--from there, all options can be added a la carte. Standard equipment isn't bad for the $25,000 starting price, with Bluetooth, USB, keyless entry, and automatic climate control all included. Optional upgrades include a BeSpoke premium audio system with apps compatibility and a 5.8-inch touch-screen LCD display, plus a range of appearance accessories. Sometime after launch, a range of performance accessories will also be made available. 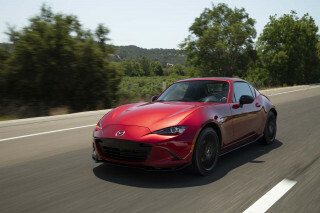 Neither the NHTSA nor the IIHS has crash-tested the 2013 Scion FR-S yet, but the basics of modern safety equipment are covered, with six airbags, anti-lock brakes, stability control, and traction control. The traction and stability control systems offer a sport mode that allows more spirited driving while still providing a safety net. A simple, classically-inspired exterior meets an equally simple yet modern interior in the 2013 Scion FR-S.
With inspiration taken from classic Japanese sports cars--all Toyotas--like the 2000 GT, the Sports 800, and the AE86, the Scion FR-S and its other platform mates bear the hallmarks of the original sports coupe formula: low hoods, streamlined roofs, and short, bluff rear ends. Distinguishing the FR-S from the Subaru BRZ, which is essentially the same car wearing different badges, is in the details. The FR-S gets its own front and rear-end treatment, with a slightly less aggressive grille opening, but the overall effect is the same. Mild fender bulges stick up above the hood, visible from within the cockpit. A short flat area between the A-pillar and the fender, intended to mimic the long, flared lines of the 2000 GT, ends up being a bit too compressed in the FR-S and its stablemates, but that's our only complaint with the exterior of the FR-S. Inside, the cabin is nicely finished in carbon-look accents and solid, durable-feeling plastics. Lots of soft-touch elements can be found on the dash, doors, and center console area. The overall aesthetic is simple, nearly monotone, and sporty. The gauge cluster puts the tachometer front-and-center with a simple information display that gives the driver the necessary details without looking cluttered. Fun, light, and rewarding to drive, the 2013 Scion FR-S is a true sports car, despite the lack of absolute power. From the outset, the Scion FR-S was not intended to be a super-fast, super-powerful car. In that regard, no one is surprised by the 2.0-liter boxer engine's 200-horsepower output. 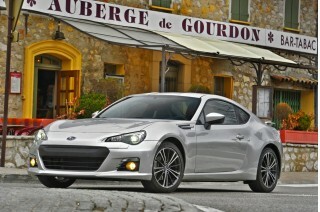 In our editors' testing of the car, however, the FR-S often felt like it fell short of its claimed mark. That's not to say the FR-S isn't tremendously fun to drive, however; it's a light, tossable, balanced sports car that rewards the driver for a properly setup line, and refuses to punish for going a bit over the limits. The whole chassis speaks to the driver, and while the electric power steering lacks some feel, it's easily one of the best we've tested, especially at the FR-S's $25,000 price point. A six-speed manual gearbox is the standard gear, and its throws are very short, precise, and positive. Upshifts and downshifts are easy, with little play or vagueness at any point. It's one of the best mass-market stick shifts around. The automatic transmission is even easier to use, with a choice to shift manually via the steering wheel-mounted paddles, and while it rev-matches downshifts seamlessly, it occasionally displays some hesitation in selecting a lower gear, especially when the computer feels the engine speed is too high--beeping and delaying past the proper downshift point. Nevertheless, it's surprisingly competent on a windy canyon road or a race track when left to its own devices in sport mode. There are no real performance options or upgrades for the 2013 FR-S at present, but Toyota Racing Development (TRD) is expected to offer some upgrades shortly after the car's June 1 on-sale date, with more accessories arriving over the next year. The 2013 Scion FR-S offers a comfortable and well-made interior, but it's still a 2+2 coupe--don't expect to take the family for a trip. You might not expect much in the way of comfort or interior quality of a $25,000 car focused on sporty driving, but the FR-S would surprise you. Quality plastics, comfortable front seats, and the overall feel of solidity and durability are palpable--or at least they were on the pre-production examples we drove for our test. As noted, the front seats are roomy and comfortable, with plenty of legroom even for taller adults. Headroom is good as well, though the curving roof liner near the intersection with the side window may cause interference for those well over six feet tall. The rear seats are smartly sunken into the rear bulkhead, much in the way Porsche does it in the 911, but there's still a shortage of legroom for most. With a medium-height front passenger, however, even adults can find enough space for short trips. The trunk itself isn't sedan-spacious, but it's reasonably-sized with a fair opening aperture allowing medium-sized bags with ease. Fold-flat rear seats open up a load deck that will hold much more--including four wheels and tires, a toolbox, and a helmet, according to Scion. 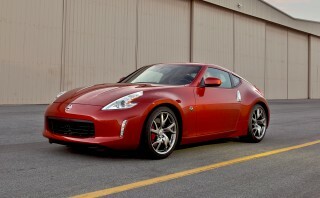 The 2013 Scion FR-S is one of the only sports cars to be an IIHS Top Safety Pick. 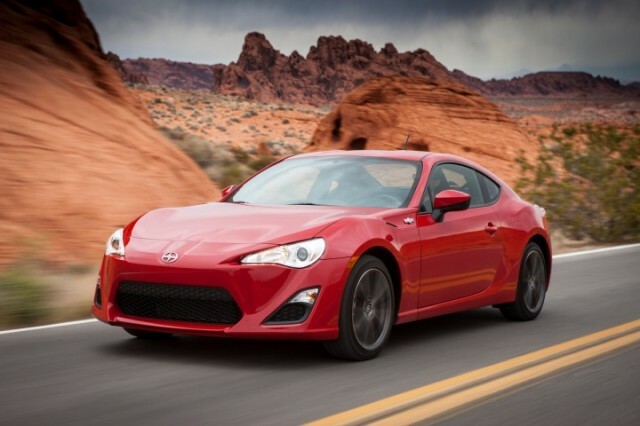 The 2013 Scion FR-S has already delivered more than most buyers of a light, lean, and small sports car probably expect: Top Safety Pick status from the Insurance Institute for Highway Safety (IIHS). Earning top 'good' ratings in frontal, side, and rear impact tests from the IIHS, as well as 'good' results for roof strength, the Subaru-engineered ring-reinforced structure in the FR-S delivers on its claims. It's worth pointing out that neither the BRZ nor FR-S have been rated by the National Highway Traffic Safety Administration (NHTSA) yet, however. 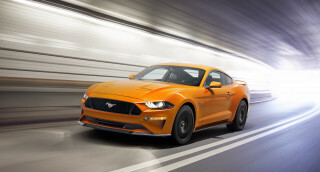 The list of standard safety equipment includes a standard stability and traction control system (with a sport mode that allows more aggressive driving while still providing a safety net), six airbags, and anti-lock brakes with electronic brakeforce distribution. A limited-slip differential helps increase stability in low traction and starts from a stop. While it's not loaded, the flexible approach to adding options for the 2013 Scion FR-S make it easy to build the car you want. 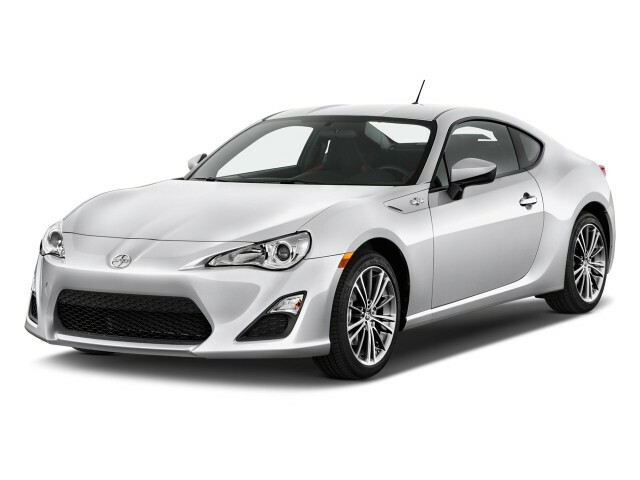 Though the base specification for the 2013 Scion FR-S is fairly minimal, it helps keep the entry-point to the car at a low price, and the a la carte options and upgrades make it easy to get just the features you want without having to add pricey packages. All 2013 FR-S coupes come with a standard Pioneer audio system, featuring eight speakers and a simple, but useful head unit. Manually-adjustable six-way driver and four-way passenger front seats, fold-flat rear seats, a first-aid kit, a leather-wrapped steering wheel, cruise control, keyless entry, USB/Bluetooth/auxiliary inputs, and more. Optional upgrades include a new BeSpoke premium audio system that features some limited apps capability (including Pandora), a 5.8-inch LCD touchscreen display, and an upgrade to 340 watts total system output. At launch (this summer), a range of accessories are also planned, including wheel locks, mud guards, paint protection films, carpeted trunk and floor mats, and an ashtray kit. Future accessories, to launch sometime later, include a rear spoiler, fog lights, a center arm rest, and TRD performance upgrades including intake, exhaust, suspension, and other upgrades. The EPA ratings show the FR-S is pretty good on gas mileage, and you may even do better in the real world. The EPA rates the 2013 Scion FR-S at 22 mpg city and 30 mpg highway with the standard six-speed manual transmission, and a slightly better 25/34 mpg with the optional six-speed automatic. Those figures are quite good for a sports car, reflecting the FR-S's light weight and low-displacement four-cylinder engine. In our testing, we observed highway gas mileage even higher than the listed EPA figures, so careful drivers may find the FR-S to be even more efficient. handling and gear box are amazing. Precise shifting like no other car I have driven. Just needs more horsepower but if you like driving go karts, this car is the big kid version. 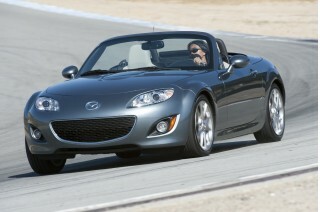 I had a 2001 Toyota MR2 Spyder back in the late 2000s and this car seems like an upgraded version of it. I LOVED the Spyder, with the exception of how uncomfortable the seats were and how it handled at speeds... I had a 2001 Toyota MR2 Spyder back in the late 2000s and this car seems like an upgraded version of it. I LOVED the Spyder, with the exception of how uncomfortable the seats were and how it handled at speeds over 70mph. The FRS is much more comfortable and handles like a dream at higher speeds. 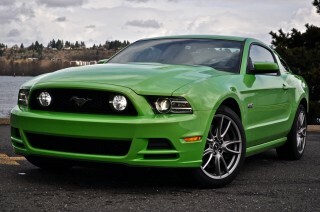 The road noise is a little much on the highway and PA roads aren't very nice to sporty cars. I've read that others consider the interior plain and cheap looking, but I think it's perfect. Classy and sporty, with a few bells and whistles but not overdone. My only real complaint is the limited space for storage of small items like phone chargers, ipod, other various cords, sunglasses cd case, etc. There's the glovebox, but if you put more than one or two things in with the owners manual (which isn't hard to do) it won't shut properly. There's no center console, just a small tray area with a moveable cupholder thing. I'll be honest, while I'm driving, I cannot reach a cup in this cupholder without straining my arm. It's too far back. There's a small spot in the door to store things as well, but it's vertical, so it fits a small water bottle and that's about it. I would not risk putting a drink without a completely closed, spill-proof lid in there. I'm a relatively small person, 5'4", so the smaller car feels like it was made to fit me. Except for the dang cupholders in the center. A person about my size could sit in the seat behind me, but I think to have 4 people in the car, they'd all have to be under 5'7". Living in PA, I have driven the car in snow, it handles really well for a RWD car. The only issue is the ground clearance. If the snow is more than a few inches, it's going to bottom out. A few things I love: Red exterior matches the red interior lighting in the instrument panel and radio. Red stitching on the black seats and interior doors. Ability to move the drivers seat vertically. Comfort of the seats (I have a 35-40min commute one way to work, comfy seats are a must). Paddle shifters in the automatic. Trunk space is decent for a small car. Decent stock sound system. Dual outlet exhaust looks cool, black plastic trim around them looks like a stretched Batman symbol. MPG is high for a sporty car! Smooth shifting. Suuuuuper fun to cruise down windy back roads. Telescopic steering wheel makes it more comfortable to drive. Everything is within reach (except the dang middle cupholder). USB port! I put a bunch of music on a jump drive and it plays it directly from there. So much easier than burning CDs. the car fits and handles likes cars of the past, it is a thrill to drive. Looking for a different year of the Scion FR-S?